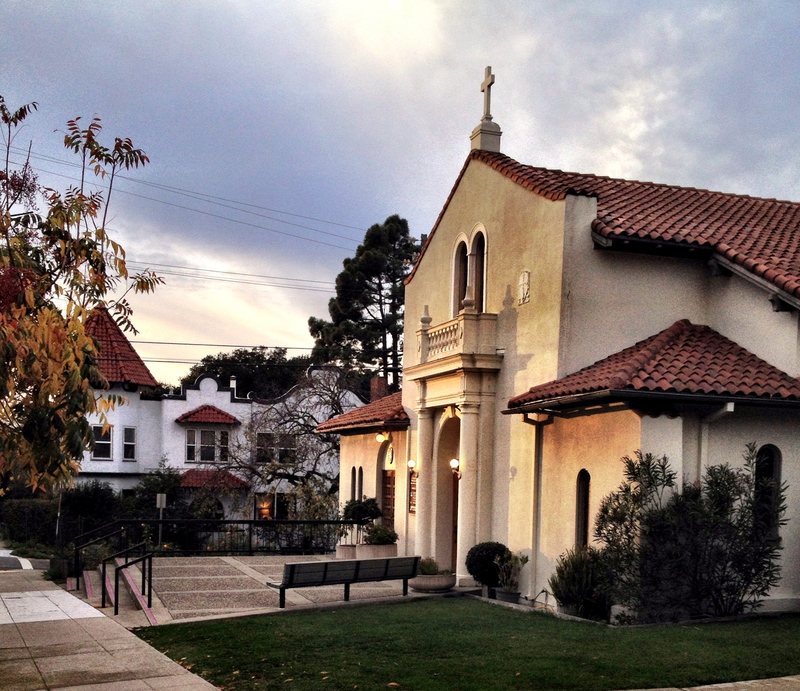 St. Mary Magdalen Catholic Church, concert this afternoon in Berkeley. 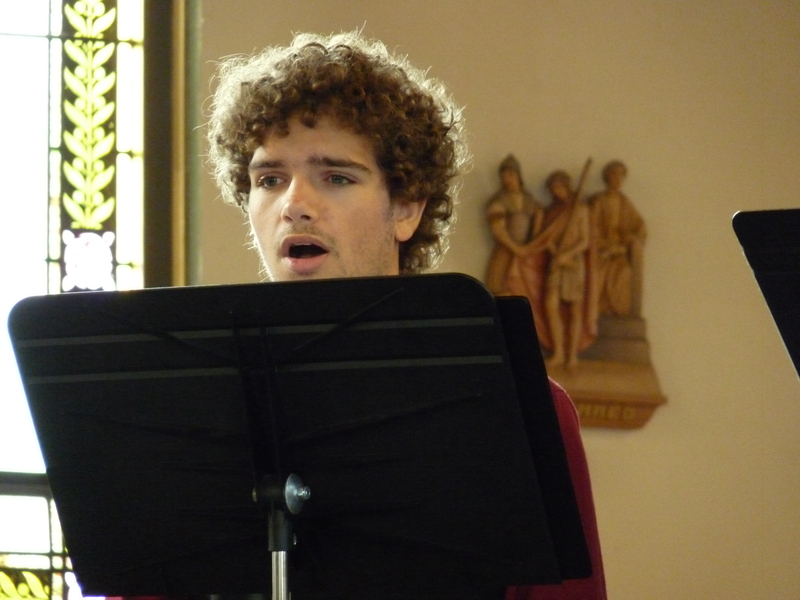 Monica (alto)–one of four paid soloists–and Ben (tenor)–chosen for one of the eight remaining choir slots–sang. It was the first time mom and son had performed together. Very sweet. Monica was obscured most of the time by other singers and I couldn’t get a decent line-o-sight. Though I know not a thing about music–Renaissance, Medieval, Baroque, especially, or otherwise–I just so enjoy this stuff. Especially around this time of year, especially in an echo-y church. And it’s probably best that I can’t understand a thing they’re saying, like for example, “…. we adore you, fertile virgin, untouched spouse, chaste child-bearer… you have the joys of a mother, O Mary, with the honor of virginity.” I think motherhood is pretty darn divine the other way, personally. I loved it all, though particularly the soprano solos accompanied by a few strings. Closed my eyes and floated aloft waves and waves of high notes.. it was almost dizzying (very pleasantly so). Or maybe I loved most particularly when all twelve sang, which sounded so incredibly silky and harmonious. Whatever was going on, I was loving it. 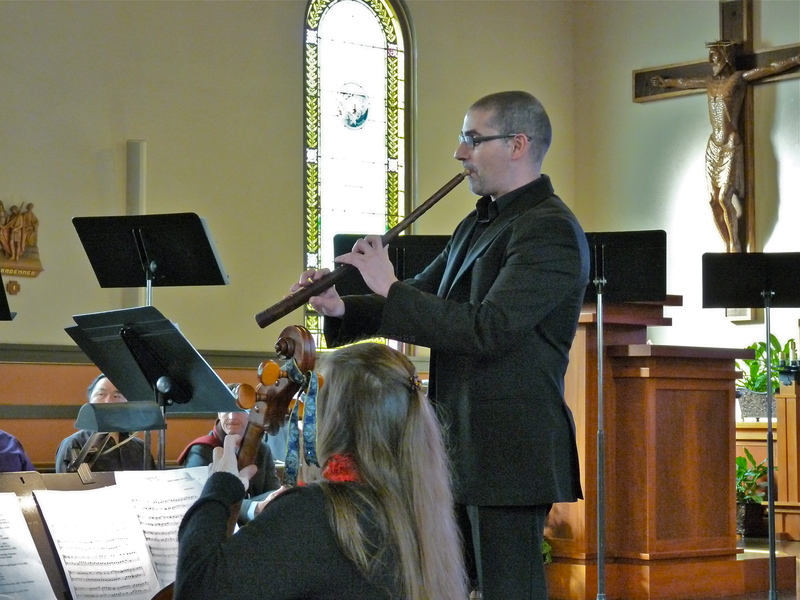 The cornett, cornetto, or zink is an early wind instrument that dates from the Medieval, Renaissance and Baroque periods, popular from 1500–1650. It was used in what are now called alta capellas or wind ensembles. It is not to be confused with the trumpet-like cornet. The sound of the cornett was produced by lip vibrations against a cup mouthpiece. A cornett consists of a conical wooden pipe covered in leather, is about 24 inches long, and has finger holes and a small horn or ivory mouthpiece. A harpsichord is a musical instrument played by means of a keyboard. It produces sound by plucking a string when a key is pressed. “Harpsichord” designates the whole family of similar plucked keyboard instruments, including the smaller virginals, muselar, and spinet. 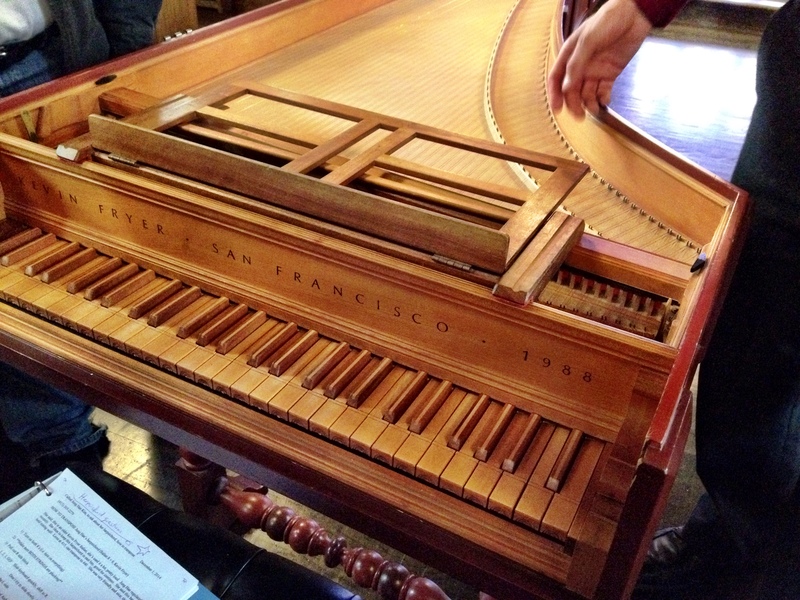 The harpsichord was widely used in Renaissance and Baroque music. During the late 18th century it gradually disappeared from the musical scene with the rise of the piano. It’s nice to have cousins who sing!